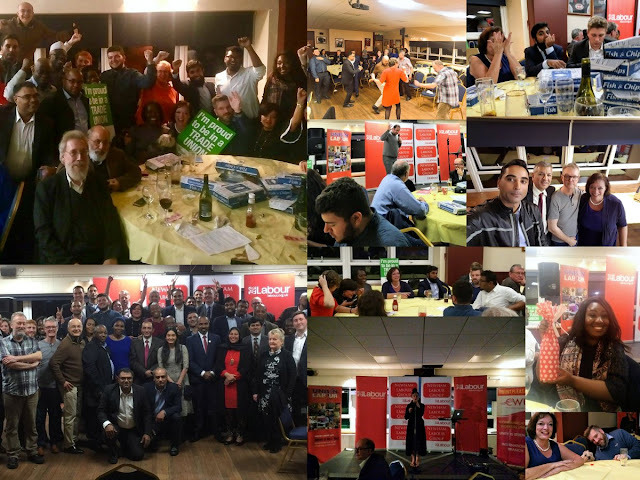 Picture college from Monday's fish n chips fund raiser for the 2018 elections in East London Rugby Club sponsored by UNISON Labour Link and the CWU. It was a really good night and apart from a couple of political speeches we had great food from a local chippy, an alternative comedian, a fabulous singer, Labour Party auction (great prize from our MP Lyn Brown, of either a home cooked meal or tea on Terrace of House of Commons) and raffle followed by a mainly West Ham Labour bop at the end. Many thanks to the staff at the club for looking after us so well and the organiser, Cllr Mas Patel, for such an enjoyable event. Whose says politics has to boring!